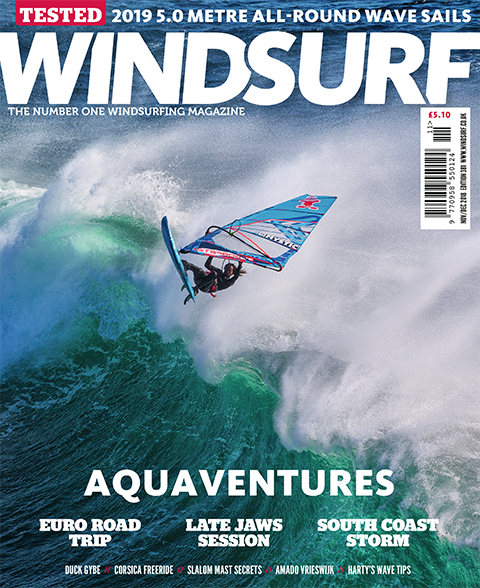 The November December 2018 Issue of the world’s only monthly English language windsurfing magazine is out now! 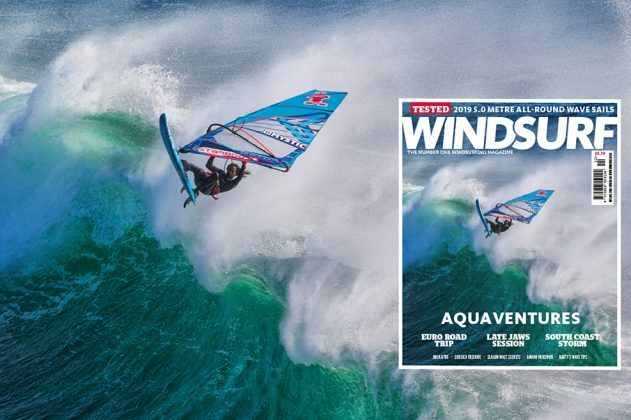 Aquaventures – 2019 5.0 All-Round Wave Sails Test, Euro Road Trip, Late Jaws Session, South Coast Storm, Duck Gybe How-To, Corsica Freeride, Slalom Mast Secrets, Harty’s Wave Tips, Amado Vrieswijk Profile, Stance Technique, IFCA World Champions Jenna Gibson and Sarah Jackson Interview. 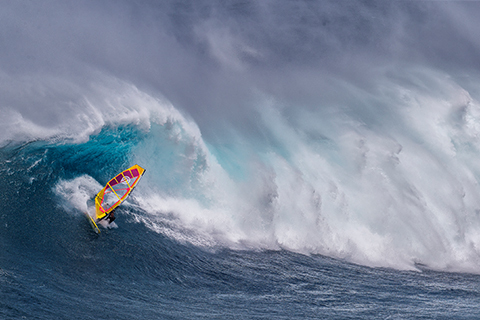 A late season swell gave a skilled group of sailors a shot at Jaws. 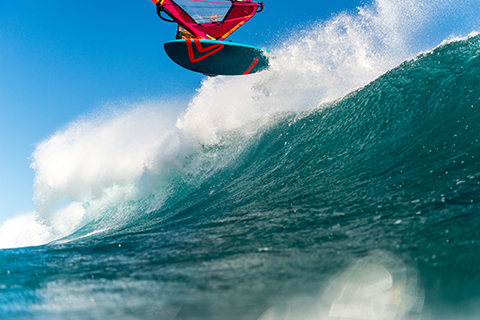 The grateful crew give us a rundown of the session. 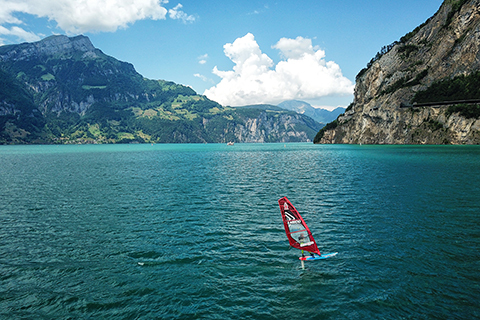 We lift the lid on the mysterious world of slalom masts as the pros reveal their secrets to finding, testing and preserving their very best ones! John Carter reports on an epic day at ‘Broad Bench’ in Kimmeridge Bay, a break whose access is controlled by the UK’s Ministry of Defence! Oda Johanne Stokstad Brødholt and Håkon Skorge hit the road in continental Europe, following forecasts and checking out new spots in their self-built camper van. Kuba Gąsiewski, advocates a change to learning methods and more fluid approach to our stance, encouraging us to embrace Bruce Lee’s saying, “Become like water”. 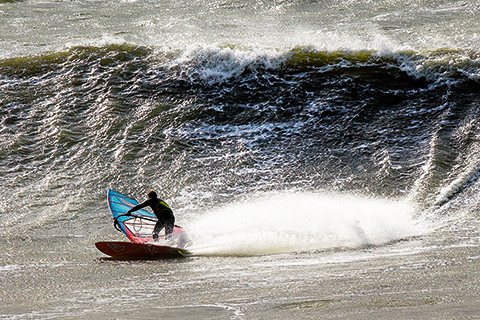 Jack of all windsurfing trades and master of them all, Amado Vrieswijk is one of windsurfing’s ultimate all-rounders. The talented Dutchman tells us more about his life. 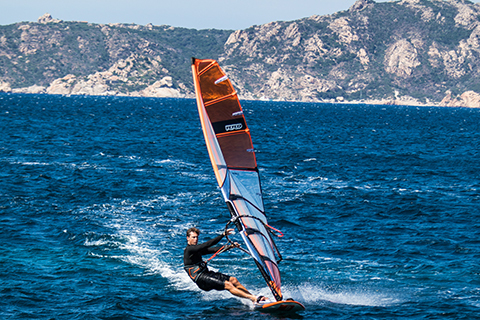 PWA slalom sailor Benjamin ‘Babou’ Augé took 3 young sailors on a trip to Corsica to explore its southern shores. 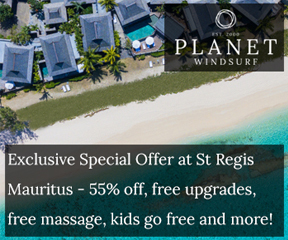 Eric de Cruz tells us more. 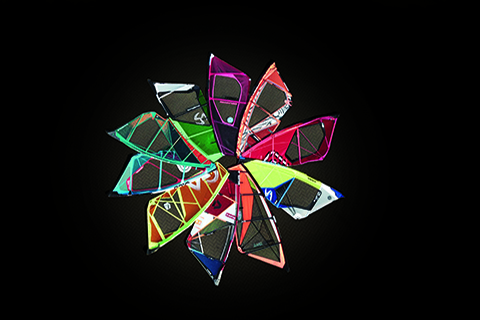 The test team put a selection of 2019’s 5.0 wave sails under scrutiny in UK waters. 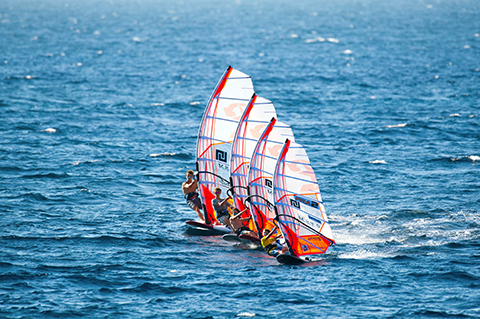 PETER HART MASTERCLASS – WAVE SAILING – THE STICKING POINTS. 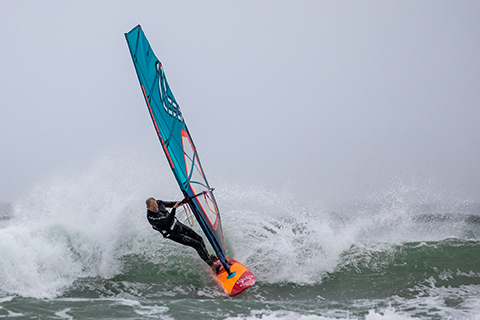 Fresh from a season of wildly windy wave courses around Atlantic shores, Harty has much advice for all standards of wave sailors on how to overcome the classic stumbling blocks. 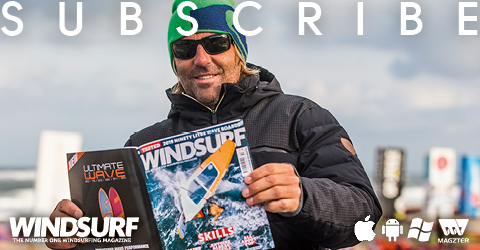 Jem Hall tells us how to learn and improve the duck gybe. 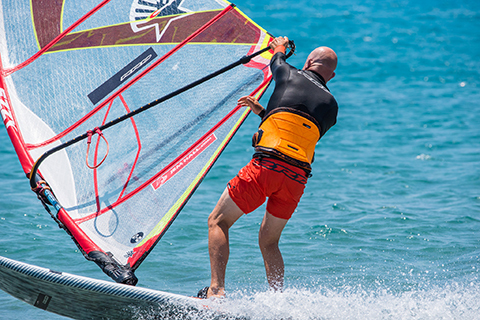 Here is the latest and greatest windsurfing news extracted from the classified files of the ministry of silly walks. Why settle for new socks and slippers when all you need to sort your prezzy list is here. 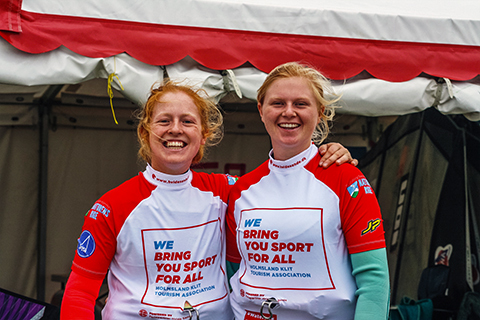 RYA KNOWLEDGE – FROM TEAM15 TO WORLD CHAMPIONS! The UK has 2 new windsurfing world champions – we catch up with Jenna Gibson and Sarah Jackson to find out more. 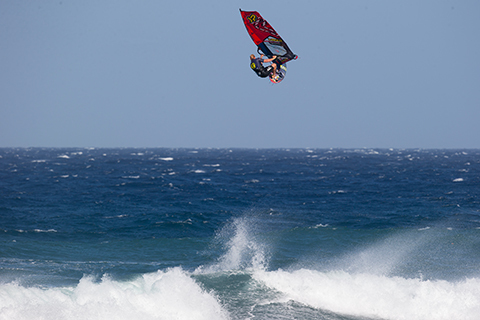 The editor discusses why windsurfing brings out the best of our ‘wild’ side. The impression seems to be that our sport has suddenly got a lot dearer – but is that impression born out by hard fiscal facts? Harty investigates.